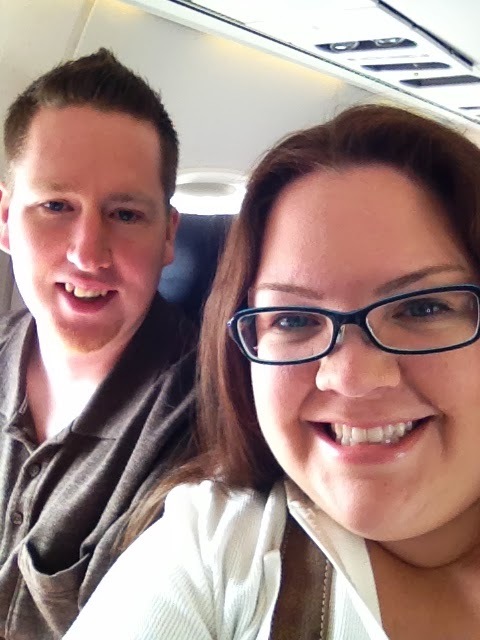 Ian & Brittany's Blag: Babymoon 2013: We've Departed! We picked up the rental car this morning. Ian went home to pack it while I went to Starbucks for Ian fuel. The car is a Dodge Avenger. It's actually pretty nice. 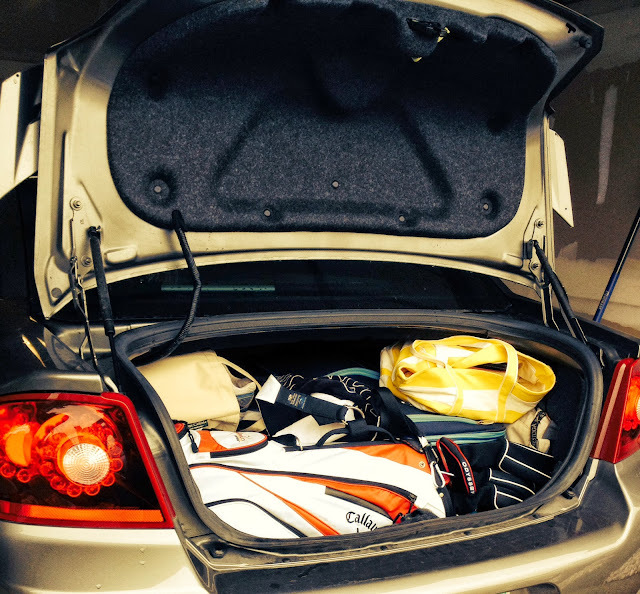 Huge trunk and heated seats.